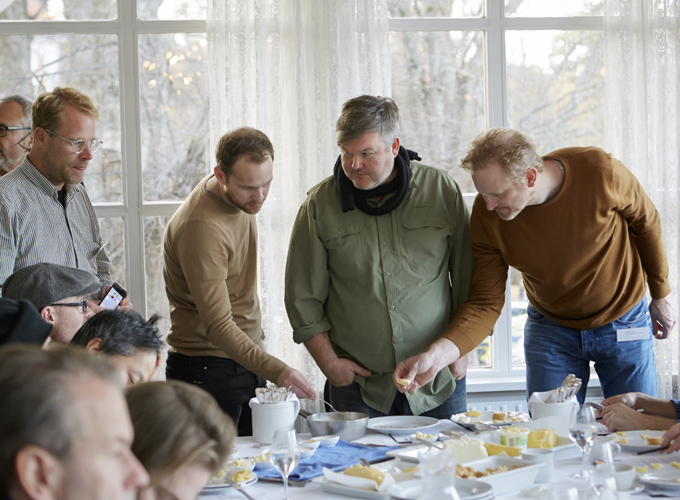 Chef Pascal Barbot from Astrance with the swedish jury. Photo: Erik Olsson. 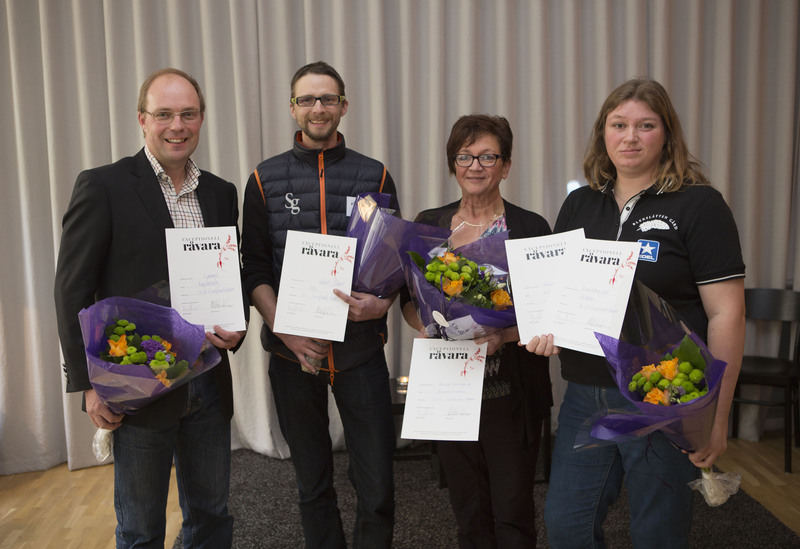 At Tastermeeting 21st of September 2014: Sweden’s first Exceptionell Råvara/Exceptional Produce was chosen. Expectant livestock raisers and farmers had submitted their entries for evaluation to the jury which consisted of some of the country’s best chefs. And the award finally fell to full-blooded Wagyu from Anders Larson at iWagyu, and Angus from Lars-Erik Andersson at Naturbeteskött. Auni Hamberg, Jan Andersson, Stefan Eriksson, Sören Persson and Gunnar Backman. Photo: Erik Olsson. 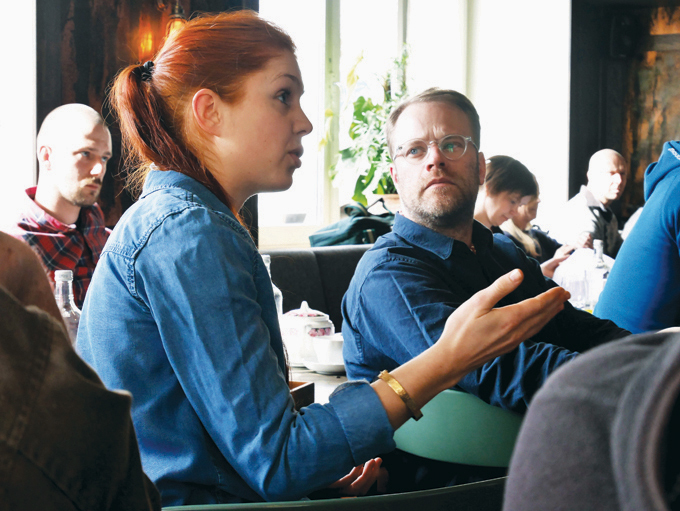 Taster meeting on greens at Studio Frantzén, 18 August 2014. Sören Persson, Mattias, Kroon, Björn Frantzén, Mathias Dahlgren, Mikael Jönsson. Photo: Erik Olsson. 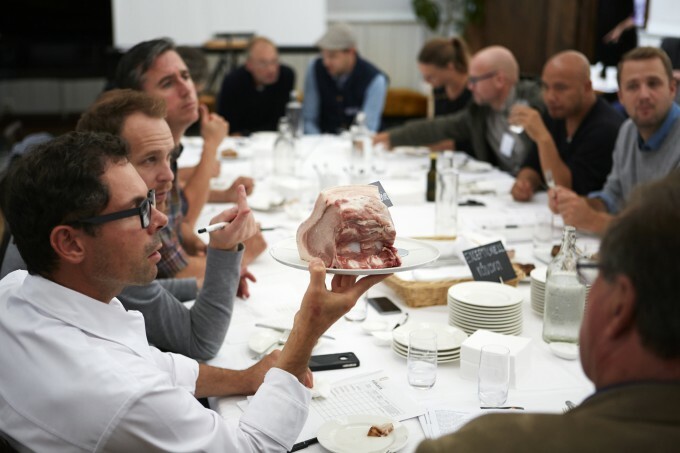 Taster meeting on beef and chicken at Studio Frantzén, 23 June 2014. Eleven different cutlets of pork and eleven chickens were tasted in an intensive day. Ten animal producers took part and presented their produce and were evaluated by the chefs in the project. The main insight learned was that there are many different parameters which steer the quality of produce – especially when it comes to meat. Märta Jansdotter from Gröna Gårdar and Mattias Kroon. Photo: Anna Lind Lewin. 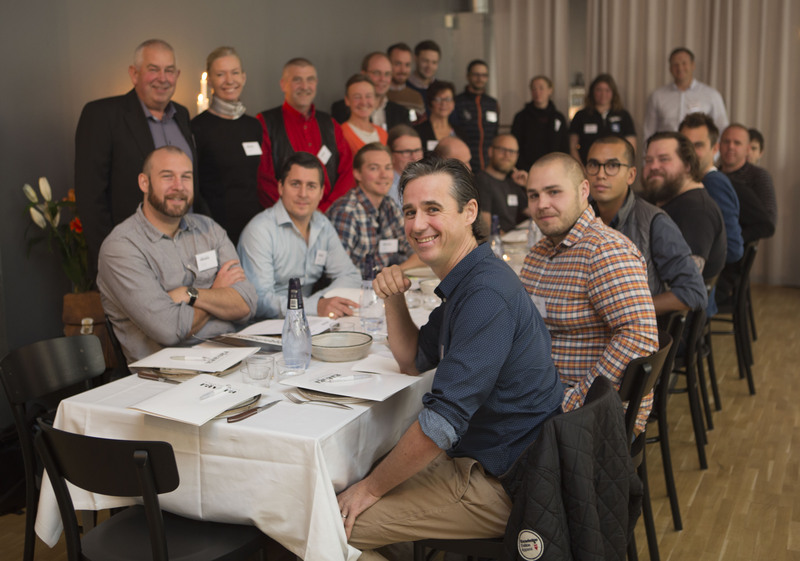 Taster meeting on beef and vegetables at Studio Frantzén, 24 March, 2014. 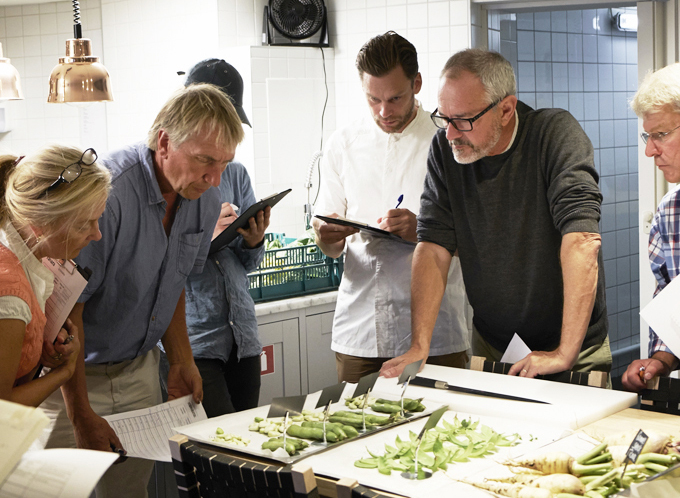 Over the course of a day vegetables which are being rediscovered and heritage plants were discussed – which of them are interesting to have in restaurant kitchens? Beef from the participating producers was also tasted. Lena Nygårds from SLU held a lecture on POM, their programme for diversity in growing. Patrik Johansson from Vallmobacken and Magnus Ek at Oaxen. Photo: Erik Olsson. 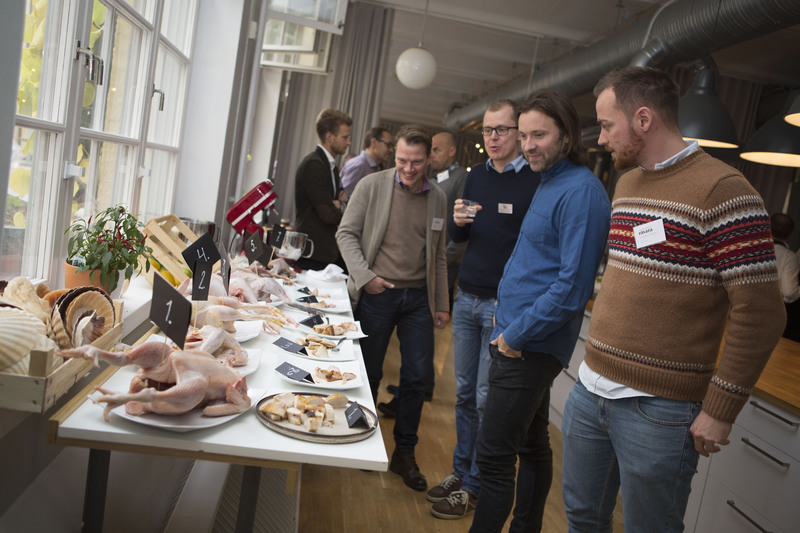 Taster meeting on pork, chicken, butter and cream in October at Ulriksdal, 20 October, 2013. 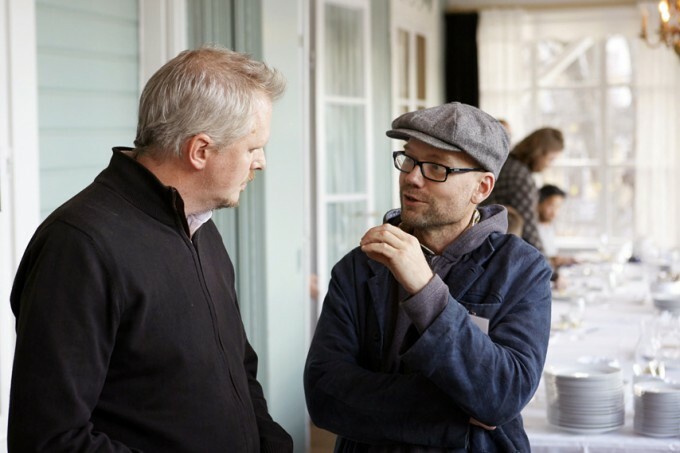 At Ulriksdals Wärdshus thirty farmers and eleven of the country’s best chefs met. The farmers had brought cutlets of cap allena and rinds, various breeds of chicken and butter from cattle and buffalos as well as sheep’s milk. The cap allena and chicken were prepared by a chef and the farmers’ produce was then tasted together.